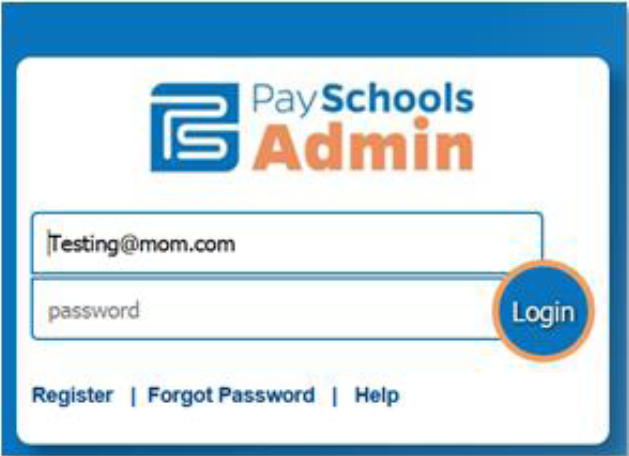 Thank you for your interest in Tuscarawas Valley's PaySchools Parent Portal! 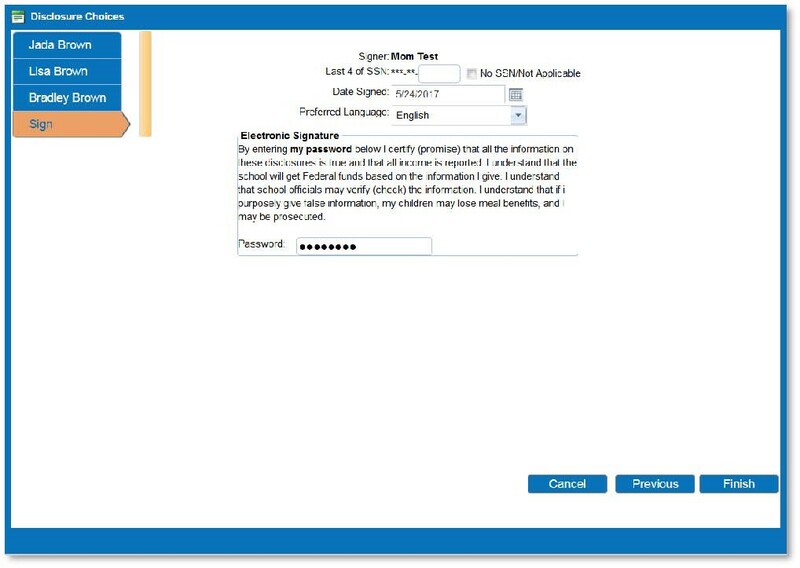 To create a parent or emancipated student user account for access to QuikApps, click the “Register” link on the site’s webpage. The “Forgot Password” link allows the user to reset their password. 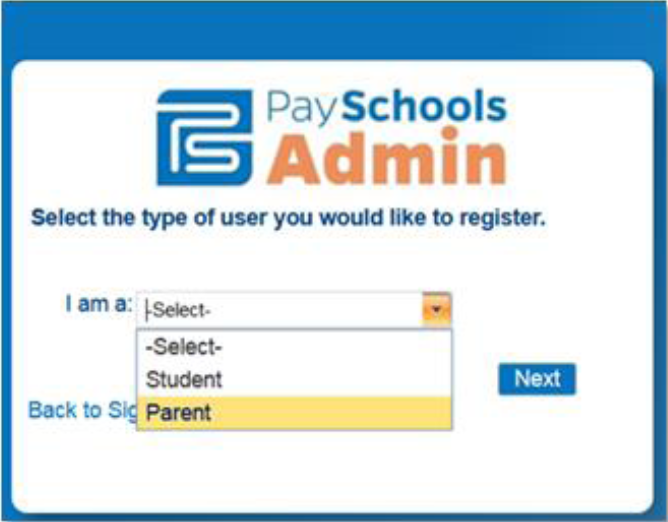 Clicking the “Register” link brings up a screen that allows the user to select whether they are a Student or a Parent. A student user account should only be created by an emancipated child. 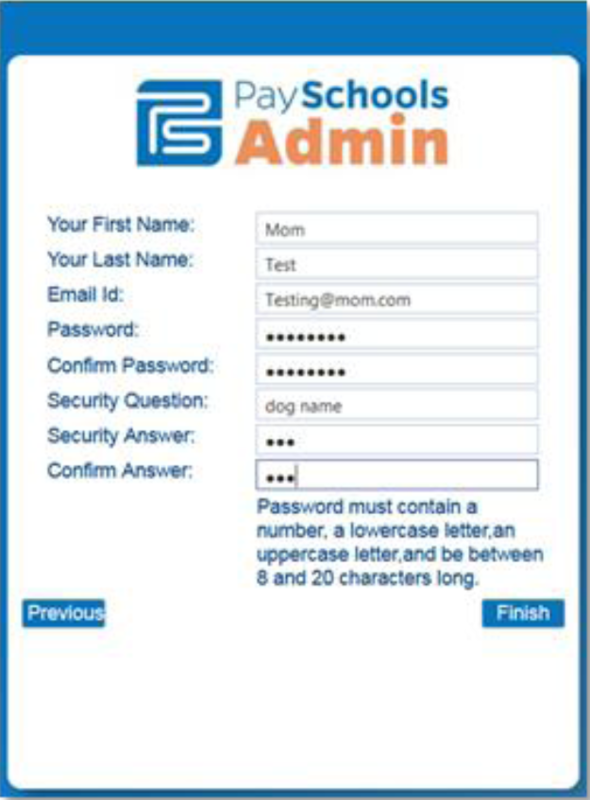 The next screen is where the user will enter their First Name, Last Name, Email ID, password, and create a Security Question to verify the user’s identity when a password reset is requested. Note that the password must conform to the security requirements specified. When complete, click “Finish” to be redirected back to the site’s login screen. 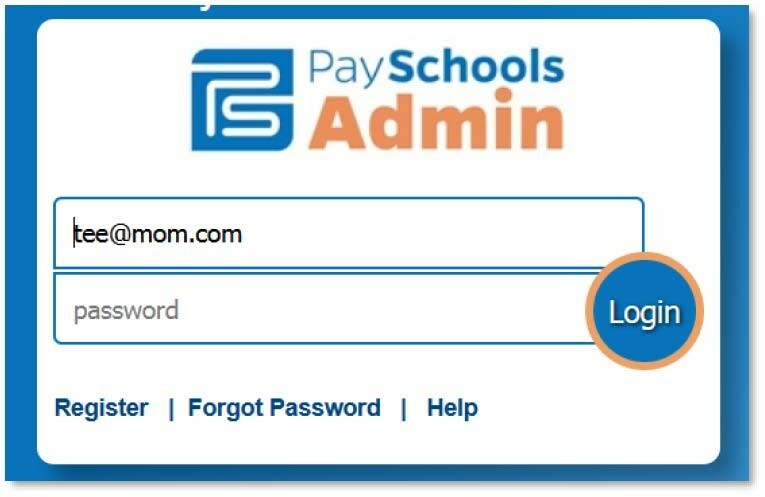 The Portal home page lists all students related to the parent in PaySchools Admin. 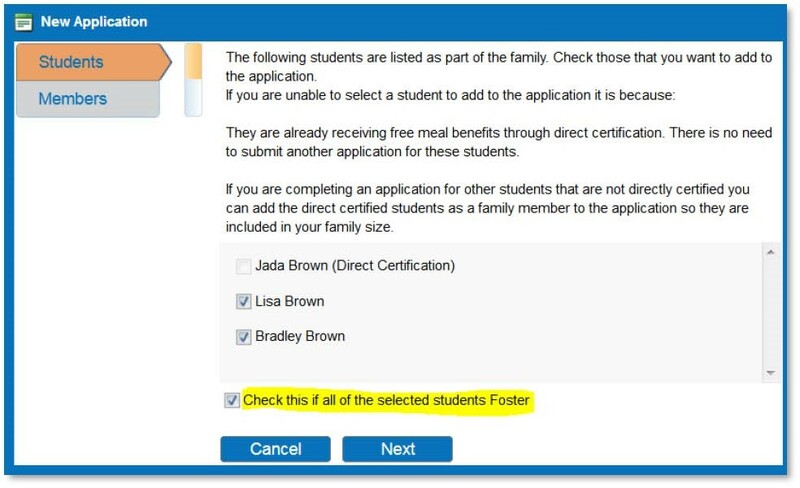 To add additional family members, click “Add Student” to search for other family members that are students. If the user is registered as a student, the option to add additional members is not available. 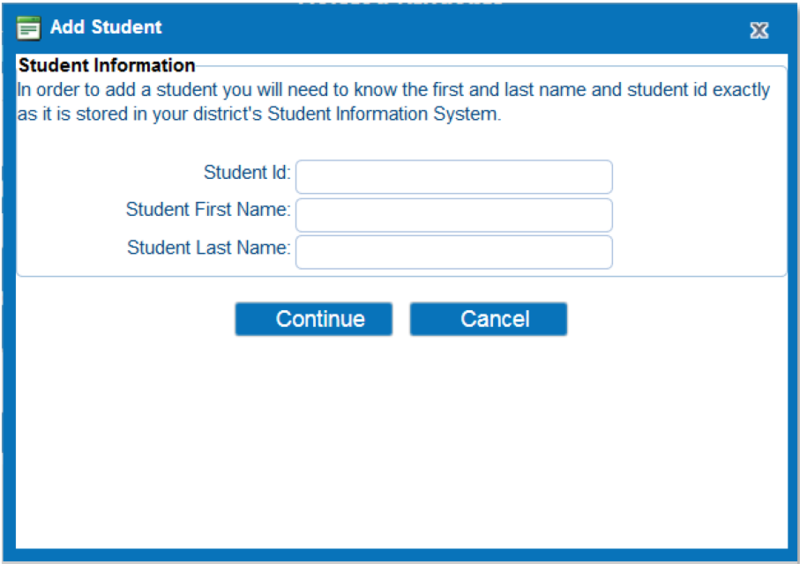 In the pop-up screen, enter the student’s Student ID, first name, and last name as your students were enrolled with the district. The newly added student will now appear in the grid. Repeat the Add Student Process until all students are listed on the screen. Click on “Contact Information” to verify/update information. The user is required to enter or update contact information prior to completing an application. The address information is required. 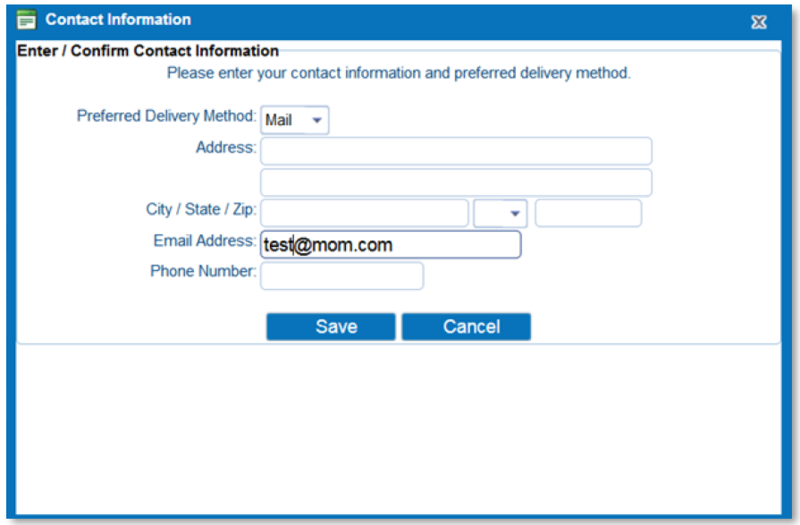 Email is pre-populated based on the Email Id of the portal account. The phone number is optional. ALL students in the family have been entered. If needed you may click the “Return to add Students” button. All students need to be added prior to entering the application. If all students are listed then Click Continue. 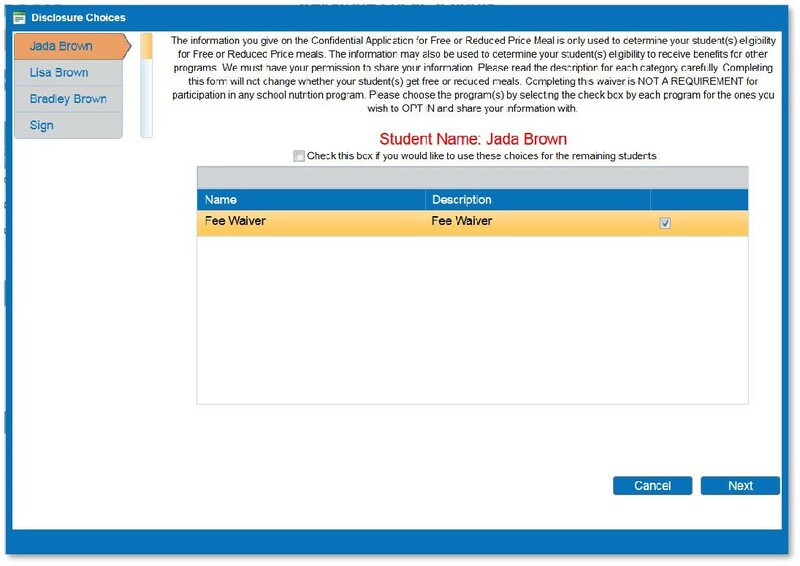 When Return to Add Students button is chosen the user is sent back to this screen to add additional enrolled students to the family. When finished, click the Free/Reduced Meal application button. 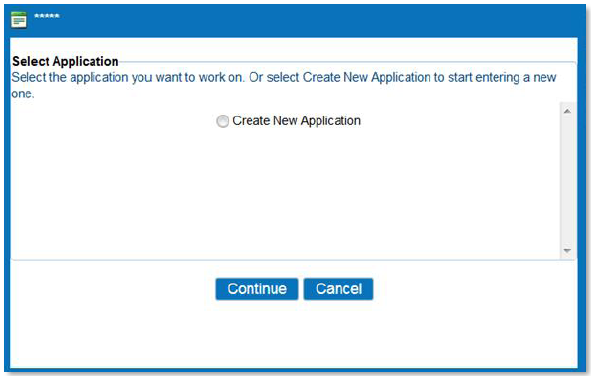 On the Select Application screen, click Create New Application. On the Students screen, all patrons who are part of the family are listed. Checking the box next to the name will add them to the new application the user is creating. If the user does not select a patron here, they will need to edit the application later to add the patron. 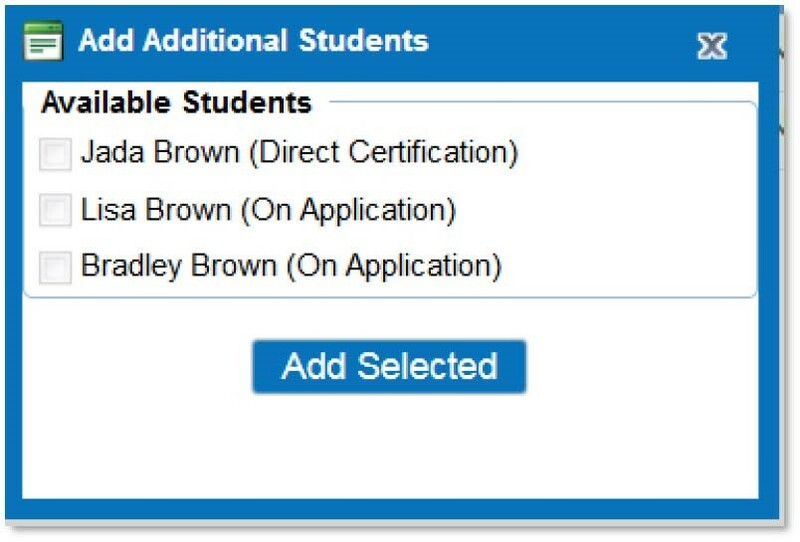 If a student has already been set by a district Administrator as Direct Certification, those students will need to be added to the Members to be counted on an Income based Application. Any questions concerning Direct Certified students, the user should contact the district. On the Members screen, the parent creating the application is included on the application by default. 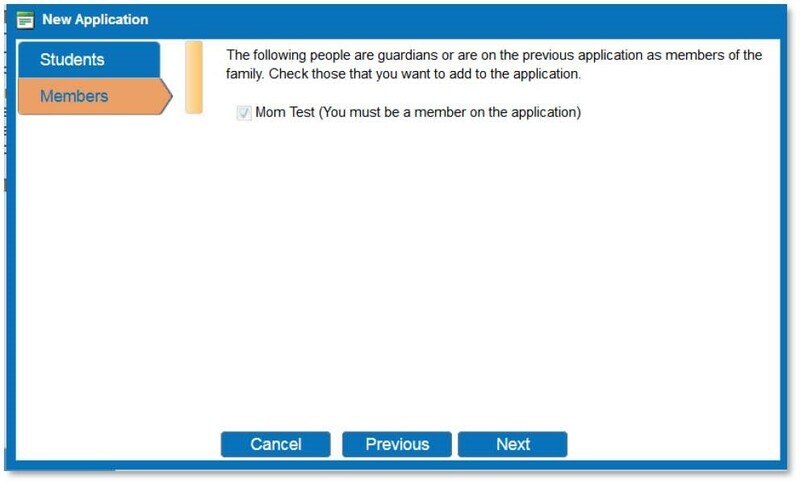 Additional guardians or members of the family that were included on prior applications will be listed on this screen. In the example, Mom Test is the only guardian. The next screen contains required information for the student. The assistance type, any special situation, foster child status and income are entered here. All fields must have a response in order to proceed to the next screen. The guardian entry screen contains required information for the guardian. To enter income, click “Yes” by “Earns Income”. The user must enter the amounts and frequency for at least one income category and specify a frequency. The frequency selections are weekly, every two weeks, twice monthly, monthly and annual if the option is selected. After clicking “Finish”, the screen displays the required statements associated with the application process. The Instructions screen contains detailed information on how to correctly report benefits and income, along with a detailed definition of each benefit/income type. This information is contained in the application in window with a scroll bar. All details have been listed from that window. A link for translated Applications is listed at the bottom of the instructions. The Students screen lists the students that will be included in the current application. 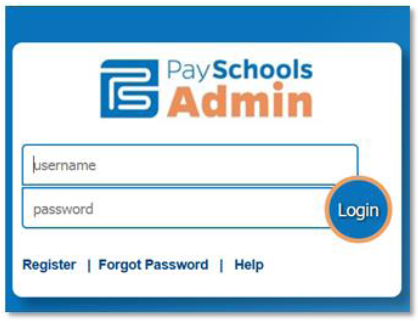 On this screen, clicking the Pencil icon will allow the user to edit the student’s information. Clicking the X will allow you to remove the student from your application. The “Add Available Student” button will add additional Students from the family to the application. The student will need to be added to the family first. If all students are not listed, click on the Add New Student button. After adding additional students, click the Add Available Student”. In this example all students in the family are already on the current application. In the Edit screen, the user must click “Update” before clicking “Continue” to save any updated information. The Member screen allows for editing member information and adding additional members. Make sure to include any non-district and Direct Certified students as part of the members. Once completed click Continue. The summary page will require the user to verify and confirm the household size and income for the family by checking the box then Continue. Once all students, members, and guardians have been added to the application and verified, it is ready to be electronically signed. The logged in user will be selected as the signer. On an income based application, the user must enter the last four digits of their Social Security number or click the checkbox “No SSN/Not Applicable”. The user can choose which language they prefer, English or Spanish. This will cause any correspondence regarding this application to be generated in the chosen preferred language, when available. 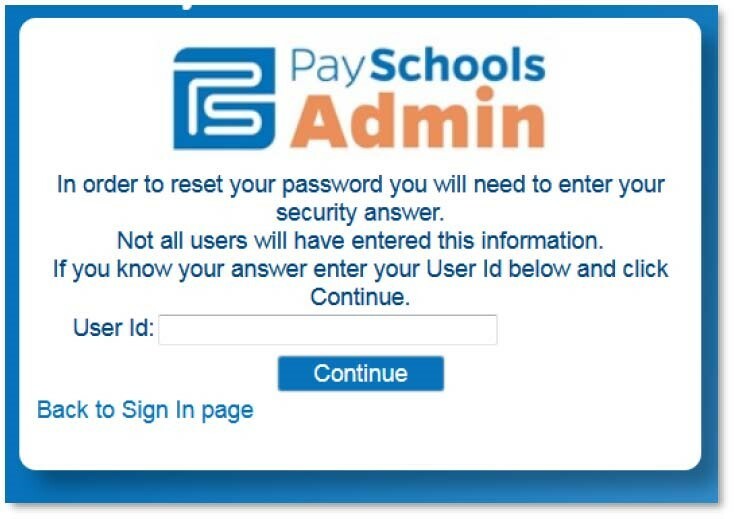 The user must enter the password they specified when they registered for their account. This confirms them as the electronic signer of the application. Clicking “Sign” completes the process. Once the application has been electronically signed, the user is prompted to make Disclosure Choices if they have been defined in the system by their district administrator. The user can select the program(s) they would like to disclose meal status information to by checking the box next to the program. Please read the screen carefully as some States and Districts require that the parent OPT OUT instead of OPT IN. Opting Out lets your district know you do not wish to Share. The user can also use the selected choices for all remaining students on the application by checking the box indicated in red below. The user will then be required to electronically sign the Disclosure Choices then click Finish. 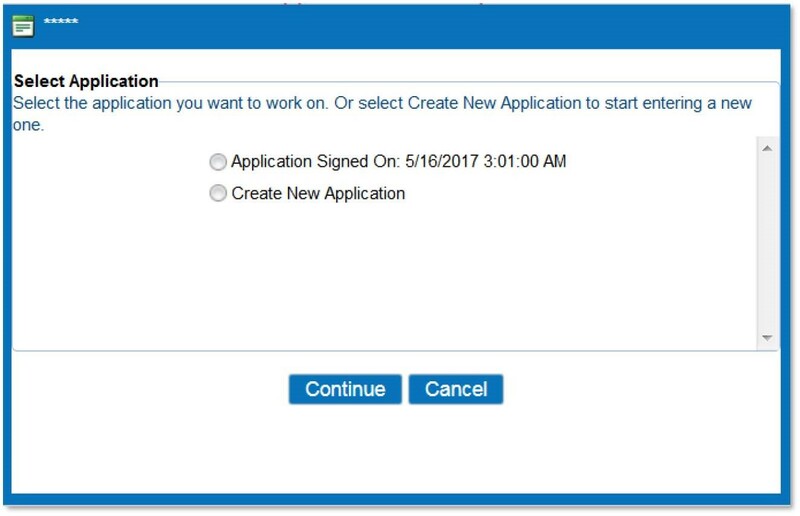 The Confirmation screen shows the application was successfully signed along with the date and timestamp of the signature. At this point, the application is complete and the user can download the Disclosure Letter by clicking “Download Disclosure” and/or the Determination Letter by clicking the “Download Determination” link. The user will be prompted to open or save the letter. If the user ONLY entered Disclosure choices for their children, the following screen will display to download the Discloser Choice Letter. The user is not required to enter a Free and Reduced Application to complete the disclosure choices. 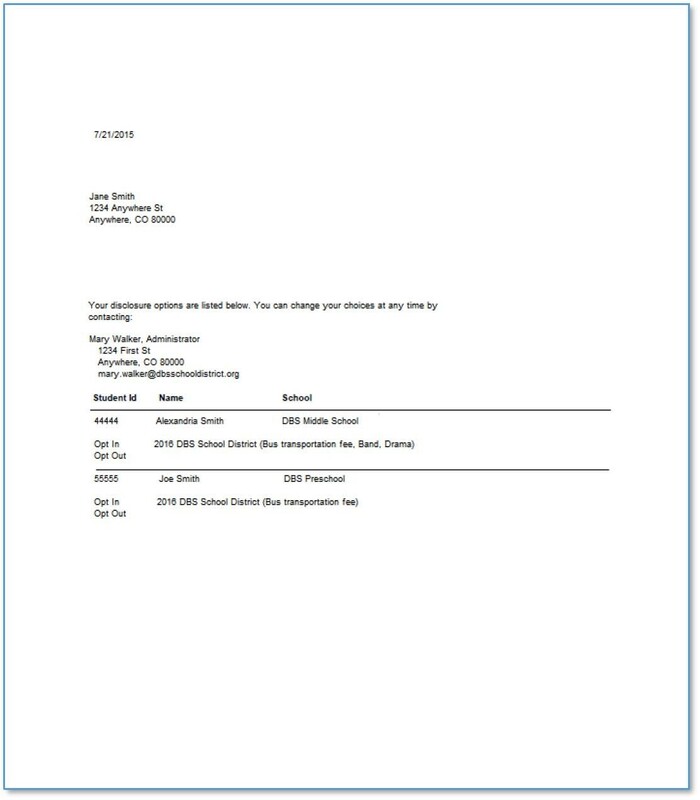 This is an example of the Disclosure Letter that will be generated for the user’s records. At any time in the future, the user can log back in to the portal account and modify the choices for the Disclosure categories by clicking the “Disclosure Category” Button. The previous selections will be displayed and can be modified as needed. The user will be required to re-sign to complete the new selections chosen. This is an example of the Determination Letter that will be generated for the user’s records. Clicking the “Home” button on the menu will return the user back to the original screen. 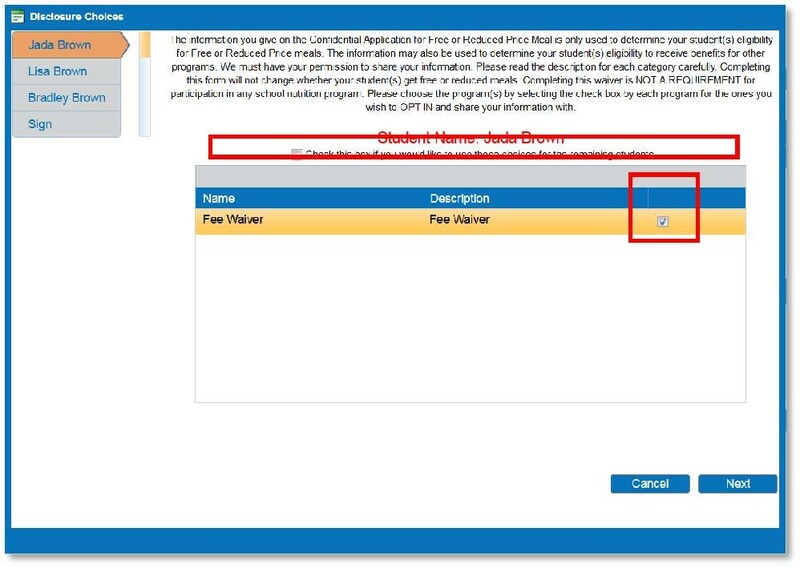 Clicking the Free/Reduced Meal Application button will allow the user to create a new application or view the signed application. When a signed application is chosen, the application’s information screen is displayed. This screen shows the students included on the application, the determination status, and member income information. 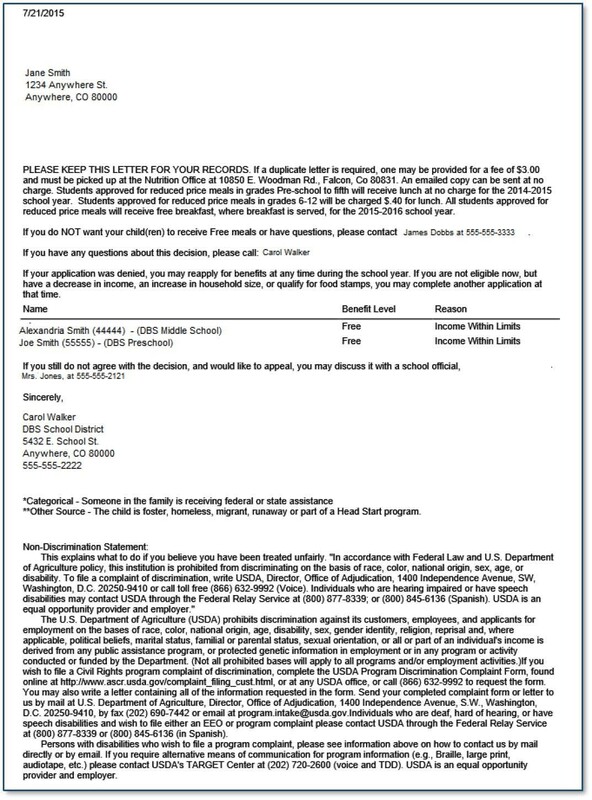 By clicking on the links in the upper right corner of the screen, the user can print the application, determination letter, or disclosure letter. 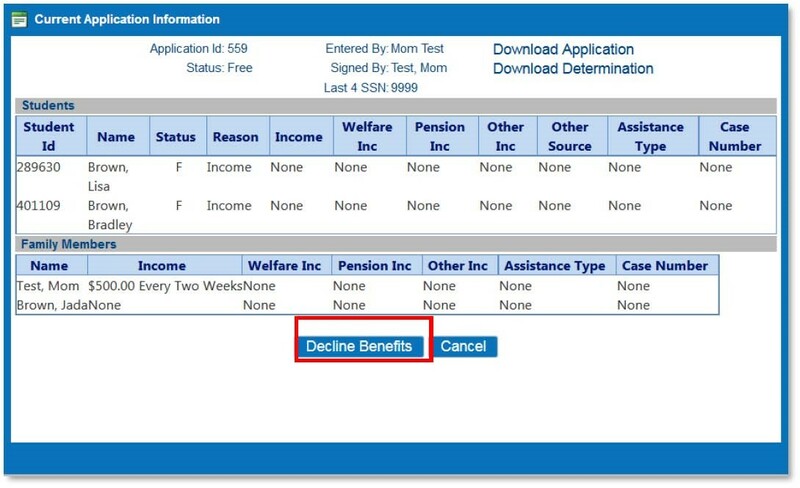 At a later date, the user may choose to decline benefits based on this application. 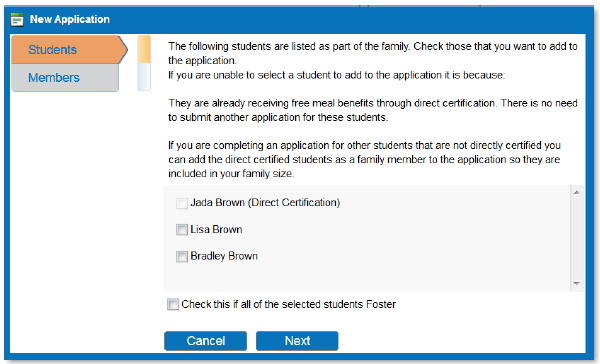 Clicking the “Decline Benefits” button will cause this application to be disregarded when determining the student’s meal status. The user can click “Logout” to end the session. 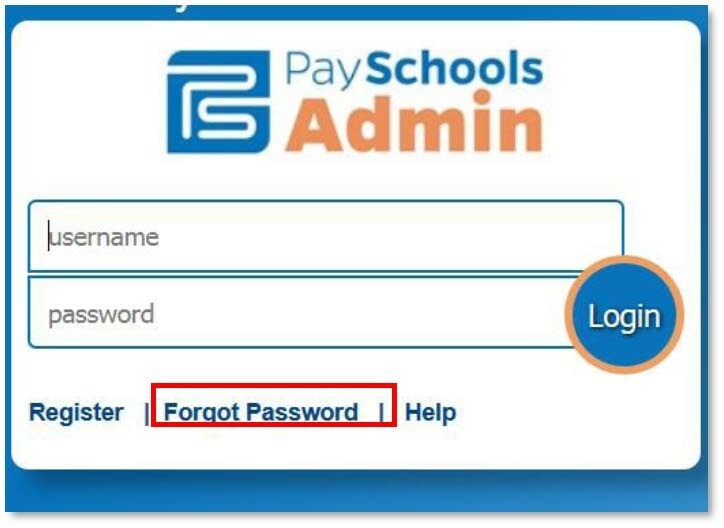 If the user has forgotten their password, they can click “Forgot Password” from the main login screen to start the reset process. The user is prompted to enter their user ID. 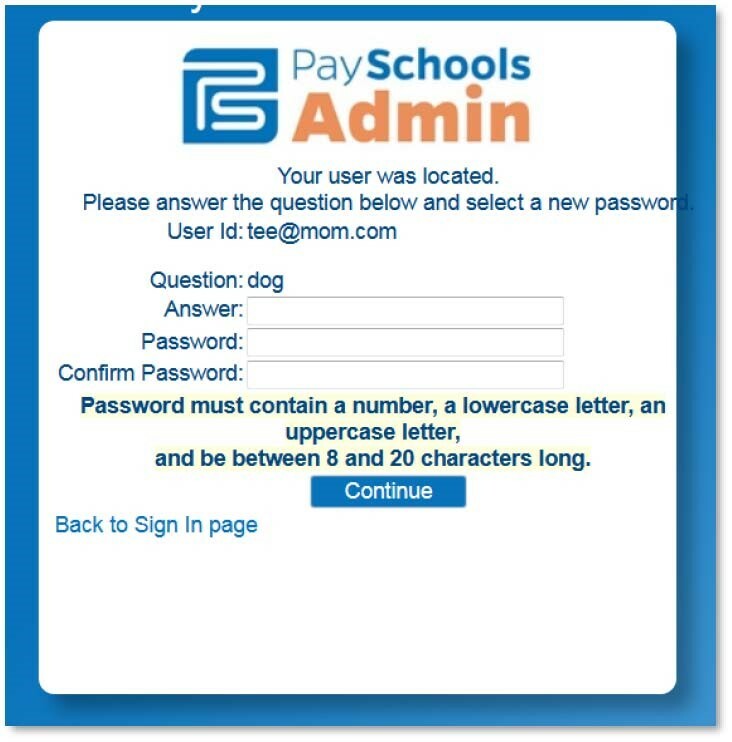 Once the user name is confirmed, the next screen prompts the user to enter the answer to the security question they entered when first creating the account and a new password is entered. If the information entered is correct, clicking “Continue” redirects the user back to the site’s login page. The user can now enter their newly set password to login. We hope this Tutorial has been helpful, and we are continuously expanding our library of tutorials. If at any time you need assistance please contact the School Office.